Robinson, Arthur, ed. 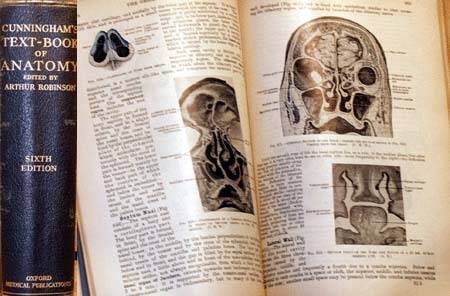 Cunningham's Text-Book of Anatomy sixth edition, 1125 illustrations with index. New York and London, Oxford University Press: 1931, 1554 pp. Size: 10" x 6.5" x 3"